Your webstore can become a valuable promotion asset, all you need to do is to apply a little bit of imagination – and one of the extensions from this list. Social Share. Currently millions of users a day spend a significant amount of time in social networks, and such overwhelming popularity makes them perfect promotion platforms. 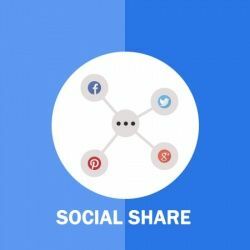 Install Social Share extension, which integrates social media (Facebook, Twitter, Google Plus, and Pinterest) share buttons into product pages of your online store, allowing your visitors to share your goods and promoting you without any effort on your part. Careers. We all know many common ways to search for new employees like giving an ad on specialized websites and social networks. The Careers extension allows you to promote and manage job positions directly at your webstore. By installing it, you give the visitors the ability to apply for available vacancies from the frontend. You can also configure the job application form, specifying the details you want potential employees to fill in. Promo Popup. There are many ways of informing webstore visitor about the ongoing or future promotion, yet there is nothing simpler and direct that a promo popup. This extension offers 84 ready-to-use popup templates for holidays like Halloween, Black Friday and Cyber Monday and Christmas, 15 of which are universal for you to configure the way you wish. CRM and online store usually function separately, but you can bring them together with the help of this Magento 2 extensions. 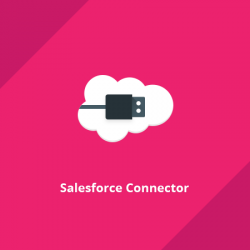 Salesforce Connector. If you are working in Salesforce, the most popular cloud CRM platform in the global market, then you might consider integrating your Magento webstore with it with the help of Salesforce Connector extension. This way you will be able to export categories, products, customers, orders and “contact us” leads information in real time and automatically. Zoho CRM. Zoho CRM is another great cloud CRM solution for webstores, and this extension connects your Magento 2 store to it, providing your admins with significantly better management opportunities. With Zoho CRM extension you can automatically sync and update various data from Magento 2 webstore, saving your managers time and effort. B2B Registration. By default, Magento 2 webstore registration form has a fixed number of fields, and they are quite enough for ordinary customers. However, it is rather unsuitable for business owners acting on behalf of their enterprise. If you wish to improve this situation, B2B Registration may be the answer. 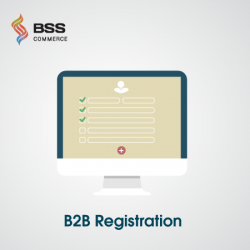 This extension creates a separate registration form for B2B with extra fields (Tax/VAT number, Business address, etc.) for your future partners. 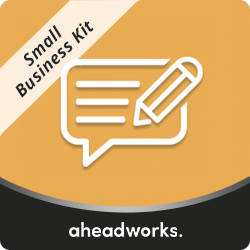 A proper large scale email marketing campaign requires a lot of manual labour, yet the extensions described below will provide you with great email automation capabilities. Abandoned Cart Email. As a webstore owner or manager you may already know how many shopping carts are getting abandoned at various checkout stages and realize what a significant share of revenue you are losing because of it. This extension will send follow up emails to your customers, reminding them of an unfinished purchase. Moreover, to warm up customer’s motivation to complete the purchase, this extension can send them discount coupons. Subscribe At Checkout. Newsletters are great ways of informing about promotions, discounts and other exciting events in your company; however, it’s crucial to place the subscribe button where it won’t annoy the visitor and won’t be overlooked. Checkout page is one of these perfect spots where the Subscribe button is appropriate, as the customer is in good mood. Download the Subscribe At Checkout extension and embed this button at your subscribe page. 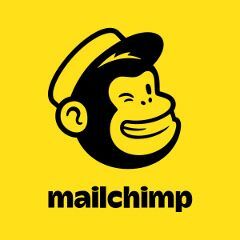 MailChimp. MailChimp is one of the most functional marketing platform for small enterprises, and chances are high you are already using it. 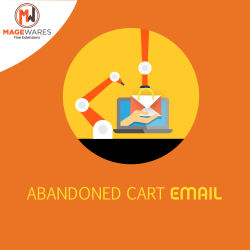 Yet by installing a free MailChimp extension at your Magento 2 webstore you can wield even more power from this tool, like: list and purchase data sync, cart abandonment notifications, customer tracking, and segmentation and many other useful capabilities. Nowadays technology allows to transfer a great deal of workload to specialized tools, and the Magento 2 solutions described below will automate marketing activities for you. 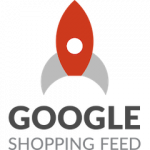 Google Shopping Feed. If you are using Google Shopping service, then you may consider installing Google Shopping Feed extension for your Magento 2 online shop to make your interactions with the service even smoother. The extension will generate a properly formatted text file for Google Merchant Center, allow store admin to map product data and create feed files, and provide you with many other similar useful capabilities. Review Reminder. Customer reviews have a surprisingly great influence on your brand popularity, and each piece of feedback in this case matters. Review Reminder extension for Magento 2 will send your customer a letter, asking him to come back and leave a review. Apart from crafting the message yourself, you can automate this action and configure product types and condition combinations that determine if the letter should be sent. Promotions Manager. 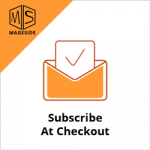 This free Magento 2 extension will prove a great help to store or marketing manager, allowing to enable, disable and delete shopping cart price rules directly on the grid. 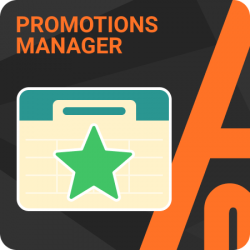 Promotions Manager extension also allows to create, apply and duplicate multiple rules at once as well as assign top or low priority to the rule. Search Engine Optimization and Marketing demand a great deal of meticulousness and attention from a marketing specialist; however, this Magento extensions will help you with certain aspects of it. SEO Cross L inks. Cross-links, or internal links connecting blog pages to each other play a significant part in website Search Engine Optimization and supplies visitors with a thematic material to read further. 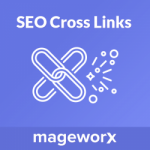 SEO Cross Links extension will assign to any thematic keyword from your product, CMS or category page a link to the relevant site or blog page. To further improve the page SEO ranking, assign a title and alt tag to cross-links. SEO Friendly Images. Text is commonly considered the core Search Engine Optimization tool, so all the effort is allocated to it, while product pictures, which are indexed by a search engine as well, are often got forgotten about. 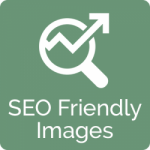 SEO Friendly Images extension will help you improve your search engine rankings, converting the non-descriptive picture names into a SEO friendly name which will get indexed. Rich Snippets. 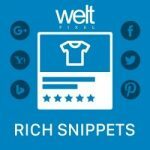 Rich snippets are basically advanced search results; they usually include the picture of the product, its rating and other elements that attract customer attention and prompt them to make up their minds about the purchase. Rich Snippet extension will turn your Magento 2 webstore product data into a rich snippet, perfectly optimized for Google or other search engines. I hope you enjoyed my selection of the most functional marketing Magento 2 extensions and found something useful for yourself. You are welcome to leave your questions and comments down below!